Finalllleeee. After two plus plus plus years or so? It actually feels like it's been forever since I've been trying to get into the Sigma Affiliate system. I love Sigma, you guys know that. When I made my first brush purchases as a makeup noob, I trusted Sigma to fill up my whole brush collection. I got the Extreme Color Payoff kit first, then the Mr. Bunny travel kit, the brush cleaning glove, the Pro Kit, The Kabuki sets for face and for precision, and basically the rest is history. 90% of all my brushes are Sigma brushes I bought on my own, and years after all those purchases I stand by my decision as all I have been enjoying all these years are brushes that don't shed nor stain, and brush cleaning solutions that are smart and able to maintain my brushes in top condition. I have long been applying to be an affiliate, but the first time I had applied in 2014, I was rejected due to lack of site traffic. I didn't see it as a reason to hate the brand but instead saw it as a reason to work harder and strive more until I actually get into the program. I actually kept on checking and checking back on the page to see if I had possibly qualified already, and I always looked at the other affiliates and looked at the numbers they were achieving and used it as a benchmark. I look up to a lot of the affiliates in the system like xSparkage, Patrick Starr, Nikkie Tutorials, to name a few. I always thought that "Oh I should work harder probably" until one day this year I was offered a spot in the program. It was honestly overwhelming to get that offer after aspiring to apply for the longest time. I have always felt that working with Sigma is the perfect kind of collaboration because it's a brand that I stand for and it's a brand that I really buy. 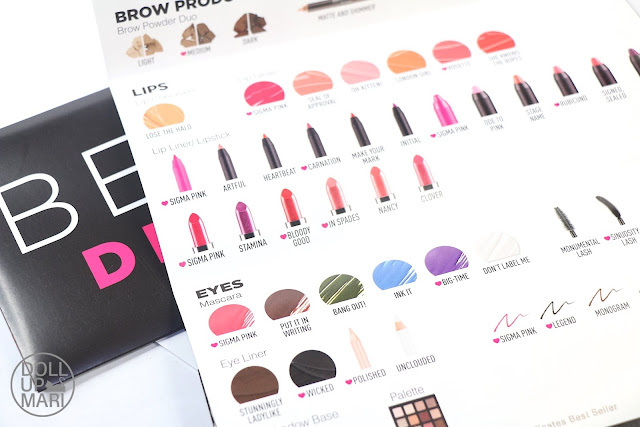 I do a lot of reviews for a lot of brands, but it feels more motivating to review items that I personally will aspire to buy for myself. 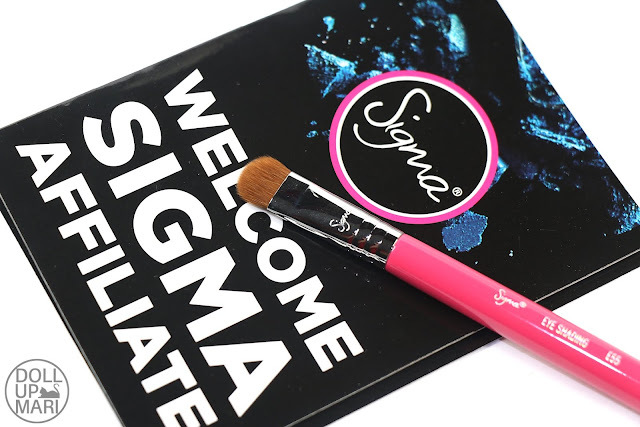 Sooo for this post, I'll be talking about the super famous Sigma Affiliate welcome kit!!! I am sooo giddyyyyy talking about this. I already bought some of the items that came in this kit beforehand, so I think I already have a lot to say about some of the items. The first item I want to show is this Sigma Spa Express Brush Cleaning Glove! This is sooooo cute in real life as it is palm sized when you see it. I already own the brush cleaning mat express and the full sized glove and I really love both items. I am so excited to use this, too! But in a nutshell, this is small enough to fit snugly on your hand tht you can firmly scrub a brush against your palm. The brush mat works to help you be able to scrub your brushes against the hardness of your bathroom sink, while the glove covers your thumb so there is a squeezing area between the thumb and index finger area so that thick brushes like the kabuki ones can dry faster. This one differs in the sense that this doesn't involve a fabric sub glove that the first Sigma glove comes with, so one doesn't need to wash anything aisde from the silicone glove. And for those who do not like the idea of their brushes being near the sink, this is good. I know of some people who do not like mounting clean things onto their sinks because they associate their sinks with phlegm and spit, so this works like the Sigma glove in that aspect. Not having a fabric inner glove and having an open chamber may mean pruny fingers for some users, especially if there's a lot of clean. But the nice part is that this is foldable to the size of a powder compact, so this is really ideal for travel and for those living in small spaces. But personally, regardless of the Sigma Spa product, despite the prices, I never regretted any of my purchases because my brushes have stayed nice all these years thanks to these. 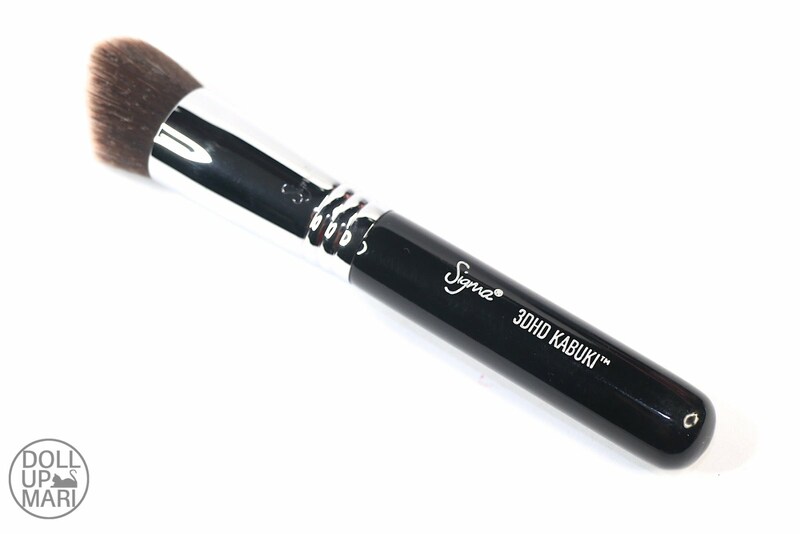 There are plenty of people who suggest using oven mitts or other rough textures to rub brushes against, and I used to do that before my Sigma Spa items came along, but the brushes who went through that got disheveled. I had Smashbox and Urban Decay brushes fray because of improper brush cleaning. The latter Urban Decay and branded brushes I got no longer had such problems since I was in the Sigma Spa system. If there's anything I regret, it is not getting into the system sooner. Second thing I got is another addition to an already existing collection! I have the full kabuki and precision kabuki set, so getting the 3DHD kabuki brush is so exciting. 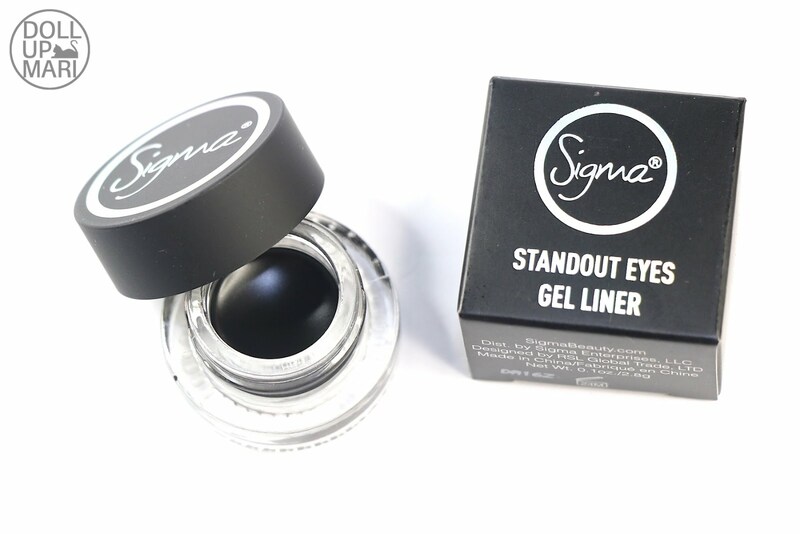 This is the product release that showed me how important bloggers are in the eyes of Sigma. If I remember correctly, xSparkage complained about the prices of these brushes, and not long, Sigma responded by reappropriating prices because they respected her feedback. Sigma is the queen y'all. I haven't put this to use yet, but I am so excited about the angled tip because one of the difficulties I have with the flat top kabuki brushes is that it's hard to reach corners and grooves like the side of the nose, near the lips, and the corners of the eyes. 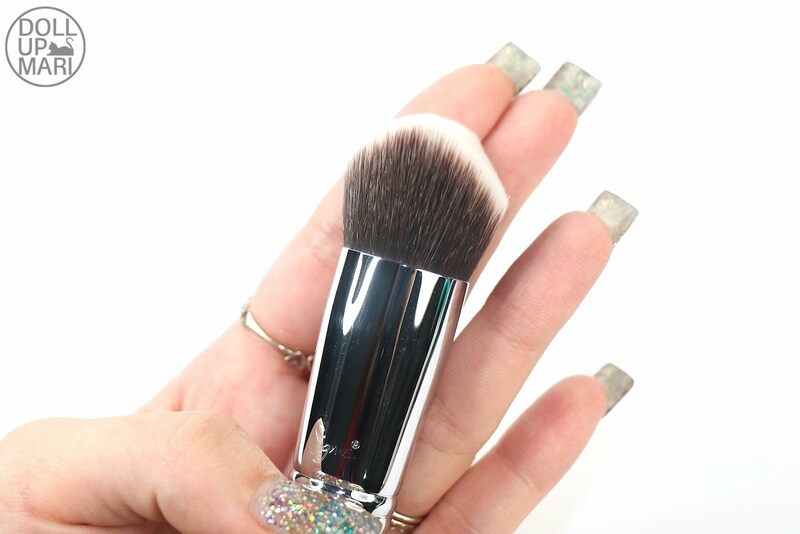 I personally love my pointed kabuki the best (it's F86) as it has the buffing properties of a kabuki brush but the shape to allow me to reach tight spaces. I would like to see how this works with the harmony of the flay surfaces on two sides for buffing and the pointed part for the tight spaces. This is my holy grail secret. This is the third unit I own now because I love this soooo much I just had to buy a second one! 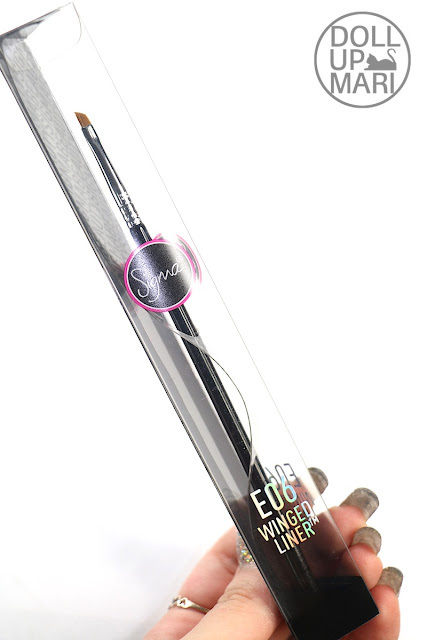 This is the E06 or Winged Liner brush. I used to think that it wouldn't differ much from the eyebrow brushes I own from Sigma, but this turns out to be half the width of the usual angled eybrow brush, has firmer bristles and a sharper pointed shape in order to get the perfect winged eyeliner everytime. Winged eyeliner used to be so hard, but after getting this, to my shock, winged eyeliner is sooo easy. It's at the perfect length and firmness to get the job right. The sharpness helps to draw lines perfectly, while the right stiffness helps with the 'drag' while swiping the eyeliner. Aaaand it's only now I am talking about a product line I have no idea over altogether! 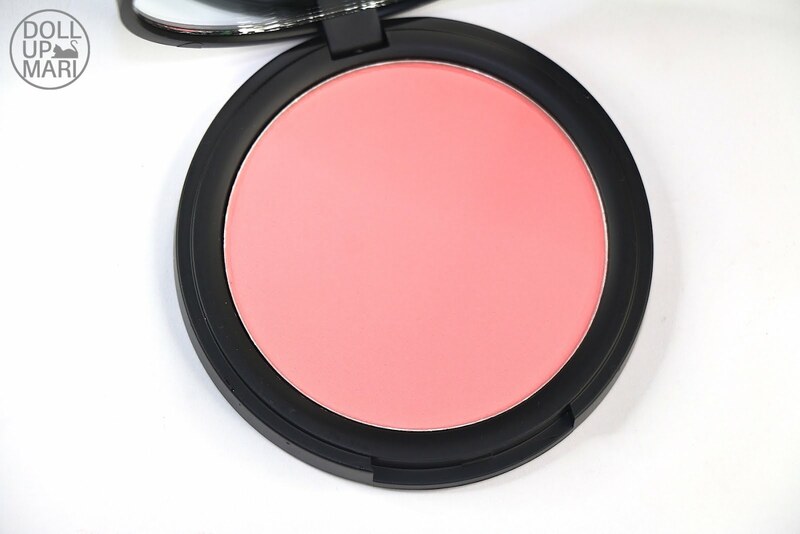 I didn't know that they also got into highlighting blush now. I have their blushes and eyeshadows, but this seems to be new. 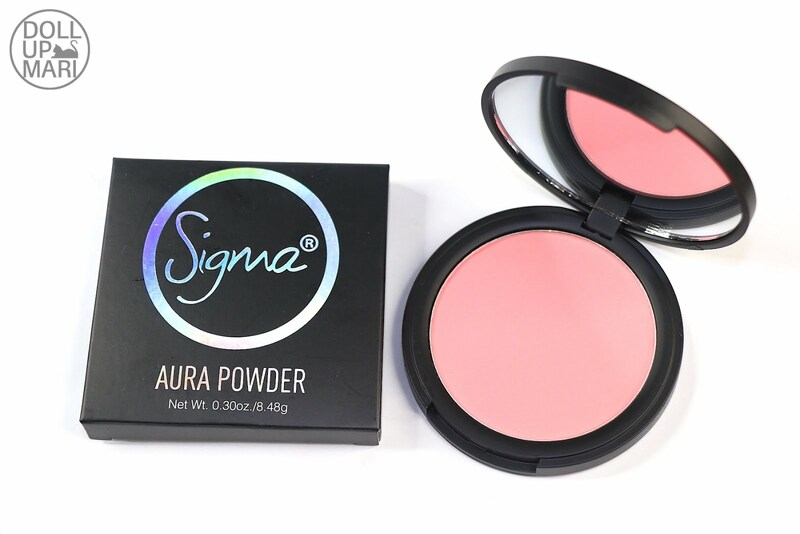 Say hello to Sigma's Aura Powder! 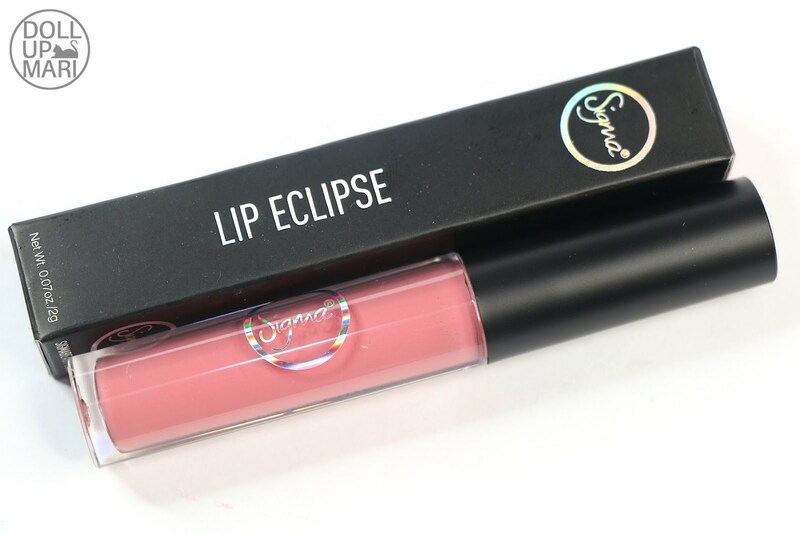 This shade is Nymphaea, and I am sooo happy they sent this shade in particular because this is the kind of shade I'd reach out for the most! They also sent in a jar of their eyeliner! This is their Standout Eyes Gel Liner in the shade Wicked. This is so exciting to try alongside E06. So far, my E06 has been working so well that I'm able to use it even with my dried out eyeliner jars, so I'm using up my drier eyeliner pots first hhahaha. Last but not the least, they even sent over a bottle of Sigmagic Brush cleaner!!! This got me sooo excited because when I opened it, I saw a card indicating that this is made in the Philippines!!! I felt so proud that our produce is being sold on a world stage. Coconut oil from the Philippines is ruling the world, slowly but surely!!! Slaaaay my queeeen!!! Funnily though, this technically went from the Philippines to th US only to come back to the Philippines... This bottle must be so tired with all the traveling it did... But still I am so proud because we have a lot of coconut farmers who need this kind of world stage to showcase their produce in. I know there'd be people who'd be annoyed that this isn't imported, but to me, at the end of the day, if this puts food on a Pinoy farmer's table, then it's something to be super proud of.